The time to write another term paper has come and you are wondering what to do - what topic to choose, how to plan your paper and how to elaborate it. First of all you have to write a term paper proposal. This, perhaps, sounds strange to you, doesn’t it? Why do you have to present a proposal to your instructor? The latter could easily give you a topic, thereby saving your time. However, writing a term paper proposal is an inevitable part of building your academic writing skills. In the future you will have to write more proposals, of course depending on your pursued career. At any rate, if you are eager to have a career as a researcher, then you must learn how to write proposals - they will be important not only for getting a job but also for maintaining it. The researcher relies mainly on external subsidies, and they can be granted only after presenting a grant proposal. Let’s see now some useful tips on how to write a term paper proposal. The first thing is to understand your assignment, meaning to know what is required from you and how your work will be assessed. Your instructor can give you a sample of such a proposal, or to give you more detailed directions. Be careful: do not rely on internet forums. You can browse some forums only to satisfy your curiosity, but in all cases you should not trust them completely. Another thing is not to use anything written by someone else - your task is to write a good term paper proposal. Even if your work is assessed as unsatisfactory, still you will know that you have written it by yourself. Now think what topic you can choose. This should be an issue quite familiar to you. 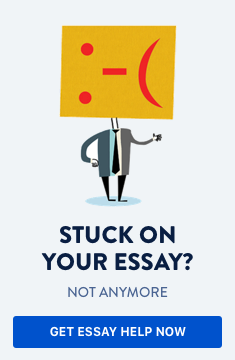 Of course, you can attempt writing a term paper on another topic, but this will take you more time. This outline will comprise the following: goals, context, methodology, thesis, arguments, and bibliography. Let’s now check them one by one. What follows will reveal the structure of your term paper proposal (including the formulation of the topic). A term paper proposal outline is comprised of goals, context, methodology, thesis, arguments, and bibliography. What is the goal of your research paper? Perhaps it is to answer a given research question, or to find more information on the particular topic, and so on. The context can include your motivation and interest - why this topic seems important for you? Is it an actual issue today? Is there a lot of research done concerning this topic? This is your research method. It depends on the particular field of study. You need to check some literature to know what your methods should be. Your thesis will be the main point of the essay. The thesis should be related directly to the topic. In natural sciences the thesis is replaced by a hypothesis (because a researcher cannot know the final results of his/her experiments). The arguments must be related to the thesis and support it. An argument should be reliable (derived from reliable source, i.e. recognized as such by the academic community) and to show clearly the correctness of your thesis. The bibliography should comprise all the books and papers referred by you in the term paper. In your proposal you will include only some basic works, but later you can add more to them. Do not forget that you are writing only a proposal. That means you have to know your topic and have some clues concerning it (i.e., you should read some literature prior to writing the proposal). However, there are still plenty of things to do in order to write the term paper - only a proposal is never enough.